JNU 2019 Result for MBA course will be released on 26th April 2019 through online mode. The NTA will conduct the exam for admission to the undergraduate, postgraduate and doctoral courses. It is called as JNUEE (Jawaharlal Nehru University Entrance Examination). Candidates will get admission into these courses on the basis of the entrance exam. 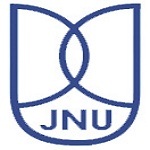 Check this article to get detailed information about JNUEE Result 2019. Here, candidates can check result releasing dates, how to download procedure, etc. JNU 2019 MBA Final result will be declared on 26th April 2019. Link will be given here. Candidates will be able to check JNUEE 2019 Result only through online mode. The link will be provided on official website. JNU 2019 results will be published in June for M.Phil & Ph.d (viva-voce courses). JNU Entrance 2019 Result allows the candidates to know their scores & rank secure in the JNU entrance exam. On the basis of written test, candidates will be called for a viva-voice. It is mandatory for some programmes like B.A. (Hons.) 2nd year, M.A. (Foreign Languages), M.Phil./Ph.D., Pre-Ph.D./Ph.D., M.Tech./Ph.D., MPH/Ph.D., COP & ADOP-Mass Media. After completion of this round, the authority will release the merit list for viva-voce on 8th July 2019 and in June 2019 for non viva-voce candidates. JNU admission procedure 2019 will be started from 20th June 2019. The candidates will be invited for the counselling on the basis of their performance in the written exam. JNUEE exam will be held through online mode (computer based test). It will be organized on 27th, 28th, 29th & 30th May 2019. Candidates can check JNU Result 2019 after a few weeks of the examination. It will be declared on 10th June 2019 for M.Phil & Ph.d. After a written test result announcement, candidates have to appear for a viva-voce round for the final section. Candidates, those applying for admission in B.A. (Hons.) 1st year, M.A. (except Foreign Languages), M.Sc. & MCA are not required to appear in viva-voce. Open the official website link (Link will be provided above). Choose the programme of study and field of study. Now, enter your application number or registration number. Keep a print out copy of it for further references. No counselling will be organized by the University for Seat Allotment. On the basis of JNU merit list 2019, candidates will get admission into UG & PG courses. JNU admission process will be started after the release of merit list. After the declaration of the final result, selected candidates are required to register for admission into their preference course. The registration will begin from 20th June to 30th June for non viva courses and from 9th July to 15th July 2019 for viva courses. Candidates have to pay the admission fee to confirm their seats. If you have any query about JNU 2019 Result, you can ask us by leaving your comments in the comment box. I TALKED MANY FRIENDS ABOUT MASSAGE BUT THEY DID NOT GET STILL. BUT I GOT.HOW I CONFIRM MY RESULT. you can check result after 2-3 hours. still not out.. any update? I checked many times it is not showing any result. So you are giving us wrong informarion. I cnt get my results….wht shld I do now..?? the link is still not working. i can’t select the program of study. there’s no drop down list. it’s on the news. the result’s been already declared. what should i do? It is due to some technical problem, result will be available shortly. Why can’t the site be accessed to check results? Are the results out for sure? From 5 hours,I am trying to check my result but everytime it displays some exception.It seems some maintenance of website is going on.The admission head of JNU said that the site will get good after sometime.But it still not working.What to do?I’m waiting nervously for my results(MCA). Wait for some time & then check result. Sir plz inform …. How to select the programme study and field of study..? Try after sometime to check the result. Till now I can’t received my results..
Sir I cannot select the programme what to do? is the JNU entrance result declared? as the drop down is not giving any option. Even times of india e paper is saying result has been declared. Sir, i gave the jnu exam in december for m.sc admission. On the site its showing that result of 2018 has been declared bt when i m trying to select study feild there is no option present for selecting and if i m trying to login without selecting that its showing error. You can try after sometime. When result will be published on 21feb ???time??? The result is already declared. when will jnu announce its msc biotech entrance exam (ceeb) result? Sir, i try to see my result msc physics but every time i fail !! Is jnu result out ?? Is there any problem with the site? I can’t select my field of study? I could not get my results. There is no drop down options to choose..what should I do? I am not able to see my result.The provided link is not working.It will declare today or not? Sir when will result decleared of jnu ba1 year.. When will be result declared? I am not able to check my result, by clicking on the link a page appears there it’s not clicking on the programme name and field name as well as on putting the application no. Error is occurring. In my admit card I got my name with a spelling mistake. Will this become as a problem to me? I want to see jnu mca result. Please give me a proper website to see the result. Had JNUEE result declared or not? Sir. i want see my 2018-19 jnu result but i am not able to see my result so if i want then what can i do? at what time resultsto are gngto to beresults announce??? Today is 21 feb, so where can I find result???? It is releasing today before evening. Stay with us. At what time will jnu declare result today? Though it is written result will be declared today but at what time? I want to know about the exact date of jnu ceeb result declaration. Sir.., what is the difference between merit list( march 25) and result announcement( February 21)…? sir jnu result will be coming tomorrow or not ? Sir I have applied for MA IRAS .When the wil declare the result . Is there any student who applied for the same course. Whether the result of jnuee 2018 and jnu ceeb is declared or not? If yes then why it’s not available in your site?pl reply. Regards. It is declared but the result is not opening due to some problem in official website. If the merit list will be published on 25th of march then on 21st march will they publish the mark ? The result is not declared yet. It will be declared on 21st February 2018. When result will be published on 21 Feb?? ?time ?? Timing of JNUEE result 2018? Already waiting for it since morning! I am BCA final year student, I want to ask if in final semester is any backlog and jnu entrance exam qualified then what? I have applied for MA in IR anf political science….when will I get to know whether I have made it to the final admission or not……On 21st Feb or 25th March?? After the release of final merit list. yes. it is said by officials. Jnu Ma political science entrance exam result kab declared hoga. Kya viva or non viva courses ka sath me hi declared hoga. When will the result of BA 1st year published ???? I’m trying to check mine but there’s an error. Can you check yours? kya JNU ka entrance exam 2 shift mein hota hai? Is there any viva-voce for M.A. English admission? Will JNU publish marks obtained by all candidates or just of the candidates securing highest marks? Sir Can i know when we will get Result of BA 1st year please tell me. Sir. Is jnu ceeb cut off list is out?? Result will be declared on 21st february. Sir I’ve checked the official website where they have given the link result 2017-18. I have given my paper in December …I hope that link is not for us. Yes, the result will be declared for December exam. sir,in case of dely ofdocument that i will be got from my colleg such as marksheet,CLC.how much time preference will be given by J.N.U administration. Any reservation for Northeast students in JNU? It will be written as qualified/not qualified.